Meijer’s is a general merchandise and grocery store. The north part of the store would be the grocery portion, which would not remain open beyond normal business hours. It would re-open at 7 or 8 am. The convenience store/gas station would remain open on a 24-hour basis, and have a “lazy susan” access. Three retention facilities would be located on the site. The outflow would go to the public sewer system. Their landscaping treatment proposal is in compliance with the city’s ordinance. They also showed the architectural treatment for the two buildings, but made it clear that they were open to changes, and that changes would definitely be made between now and the time that the conditional use permit was applied for. The two buildings would be all brick, with a two-color scheme. There would be two main vestibules with a two-story glass feature, including the Meijer signature blue canopies. The signage proposal would be “Fresh” and “Home” signs above the vestibules. Between three and four lesees would be included, such as Subway or a bank. The only signage for these lesees would be a 10-square-foot sign for each business inside the vestibules. The pharmacy would have a main door access, and the garden center would have ornamental wrought iron light construction. Changes at the request of the staff and public agencies have been incorporated. Two others were concerned about traffic. Virginia Hookstra stated that, with all the other businesses in the area like Hobby Lobby, Ace Hardware, Lowe’s, and Menards, the Farmer’s Market, Pic-n-Save, and Woodman’s, she didn’t see why a Meijer’s was needed. “It will be a huge building, with lots of traffic. Why here? The north side needs a grocery store. The south side is already filled with stores. There are also vacant stores in the area. Trying to crowd in on a beautiful area is not needed. I am against it 100%.” Her comments were met with applause from the almost full room. James Ingram lives down the road in a quiet area, and he said that the bypass would go right through his neighborhood. He also mentioned the flooding problems in the area. Robin Woods said that she lived in her home for 33 years, and “this is not what I signed up for 33 years ago.” She stated that she feels like the man in the movie, “Up.” She said that her property values have decreased sixty percent over the last several years, and it will decrease even more. She stated that the sidewalks, gutters, and curbs that would have been added due to the additional traffic would be at her expense. Woods made additional comments on the Kenosha News article of October 30, stating that Meijer bought the SuperValue Distribution Center. But, no mention was made of a store in Kenosha. Then, the December 28 article was published. She said that her alderperson, Alderperson Daniel Prozanski, is promoting Meijer for the 200 to 250 jobs it will bring to the city. “I feel like I’ve been kicked in the shins,” she said. “All of these big box stores, they bring traffic, pollution, and noise. This is an infraction of my space. I’m not going to be able to hang out my laundry out because it will just get dirty. I’ve got a little ranch house, and it’s paid for. This won’t work. What about the surrounding businesses? The research I read says that it will eliminate 1.4 jobs elsewhere. In today’s paper, it said that SuperValue employees would be losing their jobs. Am I just some collateral damage? I am totally opposed,” she said, again to the applause of the audience. Another lady, Ms. Vlasic, said that twenty years ago, she lived in Michigan for five years, and she is familiar with the Meijer stores. She went there all the time. She stated that she didn’t mean to be disrespectful, but Meijer and Walmart are the same thing, and she didn’t want one in her residential area. She talked about the cul-de-sac on 82nd Street and the lot that’s not been built upon, and the park that’s used for soccer, football, and tennis. Rick Schroeder, city development staff, showed a video of the area and explained that the item before the commission tonight is the rezoning. Some part is already rezoned commercial, consistent with the city’s plan. A conceptual plan was submitted with the rezoning application. When it goes to the Common Council meeting, changes may be made from what’s seen here tonight. The conditional use permit will be reviewed by the City Planning Commission and the Common Council. Other parts include a development agreement, a traffic impact analysis, city and state Department of Transportation reviews and sign-off’s, and an economic impact study. He also stated that they have an e-mail from the alderperson of the district, and he states in his e-mail that he is in support of the rezoning. Brian Wilke, the city’s development coordinator, stated that landscaping and buffering could be solutions for the resident whose home was near the building. Another solution could be to rotate the store, but he did state that the building may just block the light from the gas station canopy. They may be able to move the building a few feet north. Schroeder said that the city would hire a consultant that Meijer would pay for to conduct the economic impact assessment, reviewing the area businesses and how they would compete with Meijer’s. The study would come before the conditional use permit and the Common Council approval. If there are concerns raised, they would be addressed. The city’s ordinance specifies 701 parking spaces. According to the ordinance, they are about 70 to 80 parking spaces short. The Common Council can grant an exception for the shortage. Staff would rather see short spots and see the extra land dedicated for green space. In regards to the road behind the building, the Department of Transportation has left it up to the city whether to make it a public or private road. It’s fifteen feet narrower than the ordinance specifies. Staff prefers that it be a public road so that the proper street standards would be met. Staff also said that Meijer’s is willing to work with the city on building elevations. Commissioner Kathryn Comstock wanted to know if a community neighborhood meeting had been conducted, and the answer was no. Wilke said that the people who lived within 100 feet of the properties were property notified. Meijer’s said that they intend to do an “open house,” a public information meeting, like they did in Sussex. This meeting would more than likely take place in the next month or two. Meijer representatives would be available at different stations around the room to answer questions. Right now, the Meijer representatives just started today talking to neighbors to gather information. Schroeder said that there would be two meetings at the Common Council level, the first of which would take place on February 4th. Jessica Olson asked for a timeframe. The Meijer representative said that four other locations are being reviewed at the same time as Kenosha: Grafton, Sussex, Franklin, and Wawautosa. It takes about a year to construct a Meijer store. Right now, they have no stores in Wisconsin. They would expect to open in either 2014 or 2015. Olson said that she understand both sides. She was placing herself in the residents’ shoes. She suggested that Meijer’s could have handled things a little differently. They could have sent a letter of their own. Then, the residents wouldn’t feel so blind-sided. Kennedy asked the Meijer representative about the delivery plan. The reply was the same that had been specified in their letter: one to three semi trucks daily. Plus, the Mountain Dew trucks, etc., the smaller truck deliveries. The Meijer representatives said that they would be agreeable to working with the city on setting truck delivery times. Alderperson Kevin Mathewson asked, “Once the zoning change is approved, and then goes to the Common Council, is that the biggest hurdle?” He said that he felt it was very important to get the community’s input before going to the Common Council. He moved to defer to the next meeting so that meetings with the public could take place. Olson and Comstock said that they thought it was a good idea, but the mayor was not in support of the deferral. Commissioner Ron Stevens asked if the rezoning was always in the plan, and Jeff LaBahn, director of community development and inspections, said that it was, all the way back to 1991. Stevens also wanted to know if Meijer would be using local contractors, and the answer was yes. 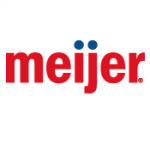 Meijer uses a general contractor who would serve as the construction management company, and they would be in charge of the project. They would then seek out and hire local contractors to do the construction of the store. Stevens said that he appreciate that, that it was important. Stevens then read from Prozanski’s e-mail. Stevens said that he was happy to see that Meijer had talked to the alderperson of the district so early in the process. “It’s an exciting possibility for the community,” said Stevens. Kennedy stated again that he was not in support of the deferral. He stated that he didn’t think it was fair and equitable to throw in another hurdle to the process. Bosman also stated again that he was not in support of the deferral. Mathewson stated, “If the Common Council votes to change the zoning, there will be a Meijer’s there. I’m impressed with the store. But, two weeks won’t kill the deal.” He asked Hookstra and Wood if they had had contact with their alderperson, and both ladies said no. Mathewson said that he felt that the neighbors wanted more time. Comstock said that she was not in favor of the deferral, but that she was going to be watching carefully. She stated that she expected the Meijer representatives to talk to the neighbors, and that she was not the only person on the commission to feel this way. “This is our city, and these are the people who live here,” she said. A voice vote on the deferral failed. There was then a unanimous vote on the motion to approve the rezoning. The other two agenda items, two requests for special exceptions to the spacing requirements of the zoning ordinance for “Class A” liquor and Class “A” beer licenses at 3500 – 52nd Street (Kenosha Fresh Market), and 3806 – 30th Avenue (Shree OM Enterprises, Inc.), were both deferred for thirty days. At Monday night’s Common Council meeting, the spacing requirements were repealed, but LaBahn said that the law was still in effect. Click here to read an article about that ordinance change: Liquor License Quota Ends. LaBahn said that the next meeting will take place in two weeks, and Simmons Field will be on the agenda.